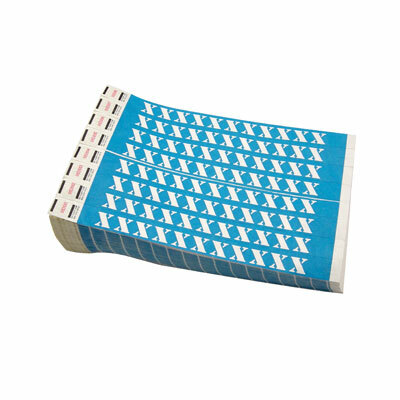 X pattern on a 3/4" Tyvek Wrist Ticket. Useful for indicating the person is NOT of drinking age. Tyvek is a non-rippable, waterproof material which an be worn for several days. 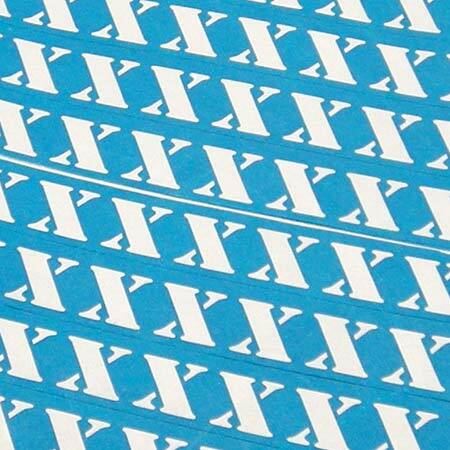 Tyvek Wristbands are sequentially numbered and the ends are scored to prevent taking the ticket off and reusing it. Tyvek is a non-rippable, waterproof material which can be worn for several days.